Caroline is a qualified Reiki Master along with being a graduate of Science, Toxicology and Education. Caroline has studied at Glencree Centre for Peace and Reconciliation and is a student of the Creative Arts. Caroline brings a treasure of life learning to her practice and is passionate about inspiring others on their path of positive and healthy living. 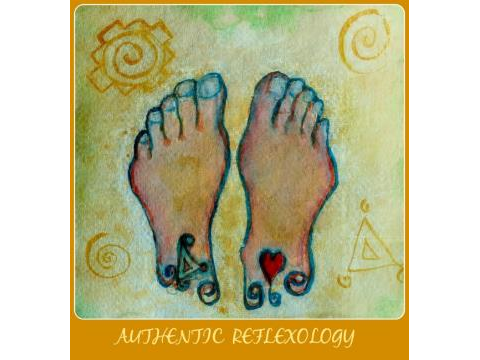 Reflexology is a Holistic treatment which takes into consideration a person’s life-style, environment and well-being. While the principles of Reflexology have similarities to some ancient healing systems it has been researched and developed in more recent times by pioneers such as Dr. William Fitzgerald, Eunice Ingham and Hanne Marquardt. Reflexology offers an opportunity for relaxation and well-being and can be highly effective when both therapist and client are committed to this end. During treatment the therapist uses only their hands to apply a specific pressure to specific areas of the feet. These areas are known as reflexes. Your feet mirror your whole self and so your whole self can be treated through your feet (or hands). Therapist Caroline Cunningham assures you of her commitment to inspiring you in your path of healthy living. If you prefer, you may have reflexology applied to your hands instead of your feet with the option of lying down or being seated during treatment.